South Africa is a country full of bakkie enthusiasts and Shelby’s announcement that its new 2019 Shelby F-150 will be heading to SA, will warm the cockles of their hearts. Based on the Ford F150 — which incidentally is now officially the most popular vehicle on the face of the earth — the Shelby F150 will be available in standard 565kW form or in exclusive Baja trim, complete with a full Fox Suspension system. This particular model also boasts the all new 3.5l V6 twin turbo motor. 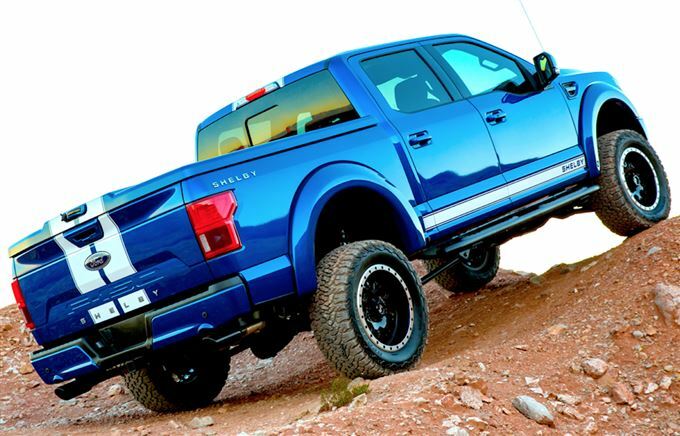 The bakkies will be converted to right hand drive at Hi-tech Automotive, Shelby’s approved F150 upgrade facility. Shelby South Africa CEO Peter Lindeberg has confirmed that a limited number 565 kilowatt Shelby F150 bakes will be available to order. 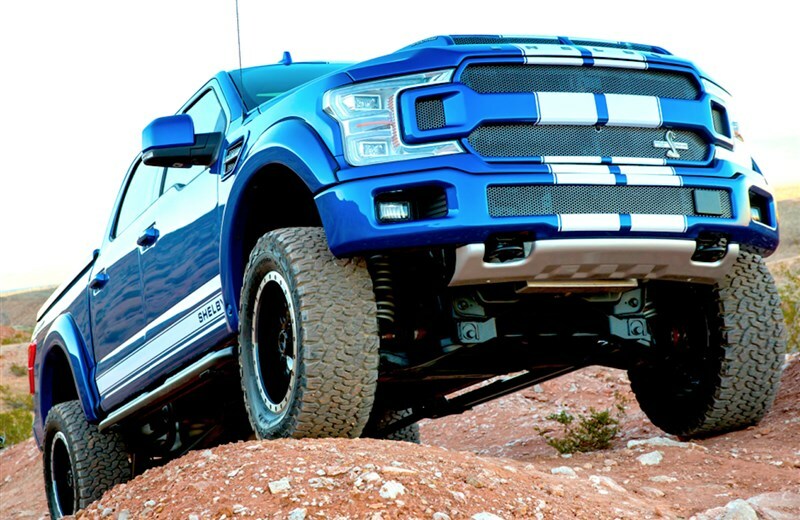 “This Shelby truck also has room for everyone and everything to make you feel like the King of the World behind the wheel, while delivering all the rugged capabilities you need for an outdoor adventure and every bit of the sophistication you want for a night on the town. The Shelby F150 represents a rare opportunity to acquire a bit of real bakkie history, but we urge prospective buyers to contact Shelby South Africa as soon as possible to avoid disappointment." The ultimate F150 is powered by a 565kW Shelby engineered supercharged 5-litre V8, complete with aluminium performance heat exchanger and an upgraded billet throttle body. It boasts upgraded high performance fuel injectors and a Shelby-tuned Borla Performance Exhaust system, finished with dual black ceramic tips. An enhanced Ford Racing Blue powder coated blower and open air performance intake has an oversized carbon fibre air intake tube, with a high flow filter under dual-intake Shelby Ram Air Super Snake hood, while front fender vents assist with engine cooling. Shelby says its F150 is set apart "by a honeycomb racing grille with a Shelby Snake insert, atop a body colour custom front bumper and fender flares and vents.” And just in case that didn’t get you excited, there’s a set of full body Shelby rally stripes running along the length of the truck, Shelby rocker panel graphics, hood, tailgate and bed branding and a Supercharged logo on hood air intakes and a Shelby Registry engine plaque. Add custom painted rear bumper cladding and a body colour solid Tonneau Cover with a Shelby bed liner, black powder coated step bars. The Shelby F150 comes with a 3 Year/50 000 km Shelby Warranty — orders are open only through Shelby SA and pricing is dependent on specification. 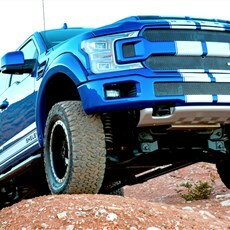 Its definitely not for the masses - expect to pay from around R2.5-million to R3-million all-in for top of the range Baja Raptor in right hand drive, with full Shelby conversion and the Fox suspension.